Claremore ladies, rejoice! We have a new store in town, and it’s exactly what we need. 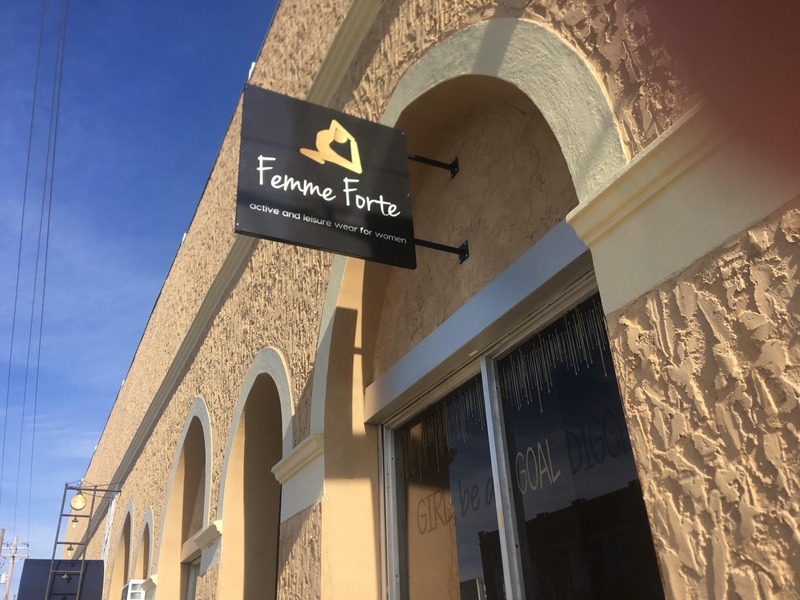 Femme Forte opened at 108 S. Cherokee in downtown Claremore this past November. Owned by Anita Jestes, the boutique carries stylish, quality active wear. The two main lines are Senita Athletics and Beyond Yoga. Both companies are owned by women, and all products are ethically sourced. 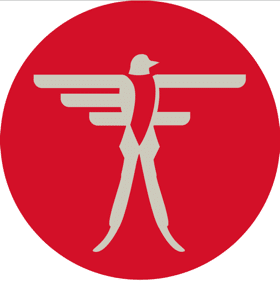 The Senita brand is geared toward those pursuing CrossFit and running. Shorts, tanks, and bras are all available, with each piece featuring a cell phone pocket. Handy, right? Prices range from $22 – 42. Beyond Yoga is a higher-end line, similar to lululemon. The material is incredibly soft and sturdy. Beyond Yoga offers leggings, tanks, dusters, crop tops, and sports bras. 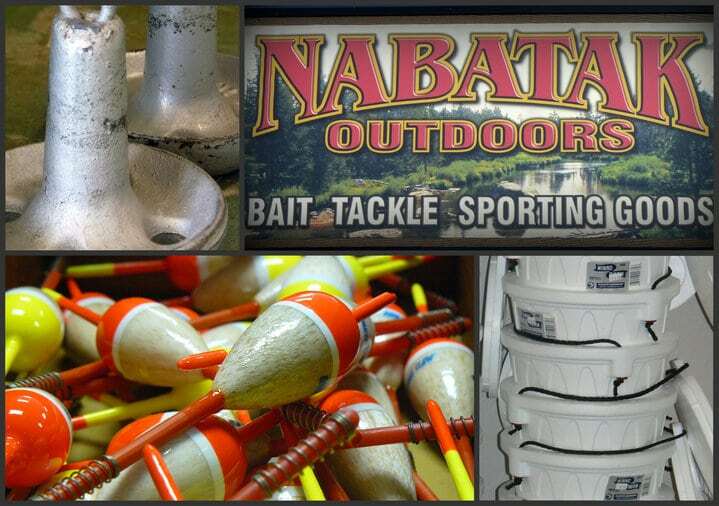 Prices range from $48 – $97. Anita grew up in Broken Arrow. She lived in Texas for several years, where she met her husband. The couple has three daughters. When they tired of big-city living and were looking for a smaller, more rural setting to raise their children, they settled in Claremore. Her husband currently works at ONE Gas in Tulsa. Anita began working in retail when she was 15. She started at Crabtree & Evelyn at Woodland Hills Mall. She learned the ins and outs of the trade, and fell in love with it. 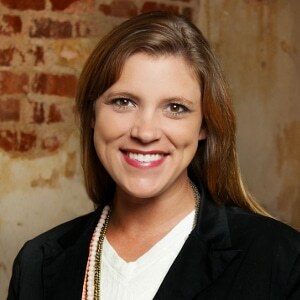 After graduating from the University of Arkansas, she worked at the JC Penney corporate headquarters for 10 years. She has always enjoyed shopping in downtown Claremore, and she knew it was the perfect spot to open her shop. She wanted to offer Rogers County women the opportunity for quality active wear without having to drive to Tulsa. Anita said, “Women today are dressing in a more casual manner, both inside the gym and out. We have a lot of clothing that’s perfect for working out or just running errands. 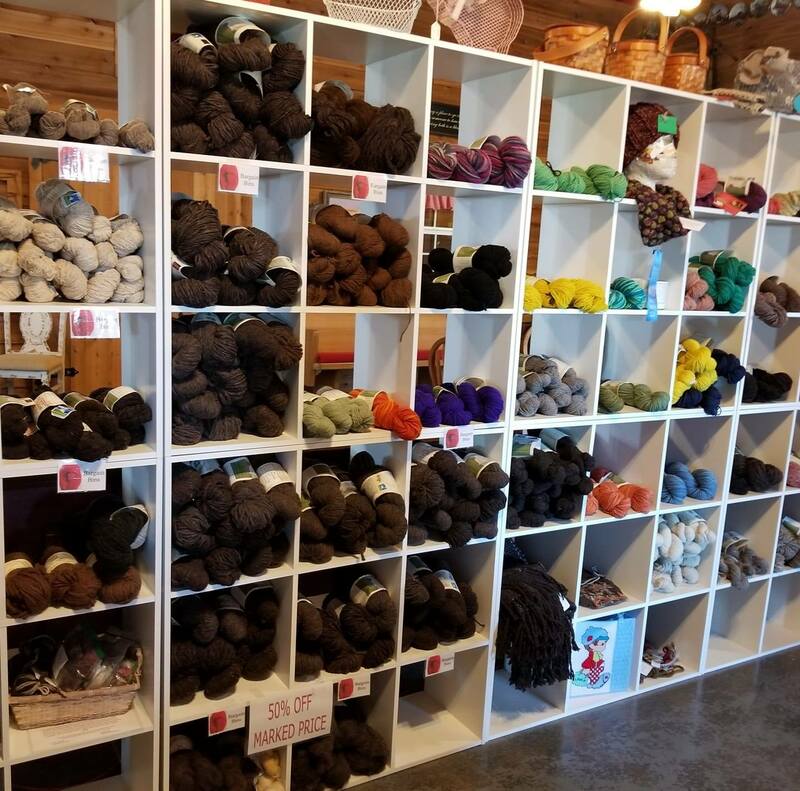 I wanted to offer a unique assortment in one convenient location.” Her longterm goals include branching out to other cities, especially college towns. 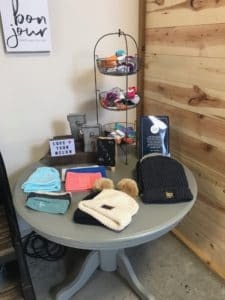 In addition to active wear, Femme Forte also carries Bombas socks and Love Your Melon beanies and headbands. Both companies are incredibly philanthropic; for each purchase, Bombas donates a pair of socks to the homeless, and Love Your Melon donates a beanie to a childhood cancer patient. This March, Femme Forte will also carry swimwear, just in time for spring break! Pieces will range from $19.99 – $50 and will include tops, bottoms, and rash guards. 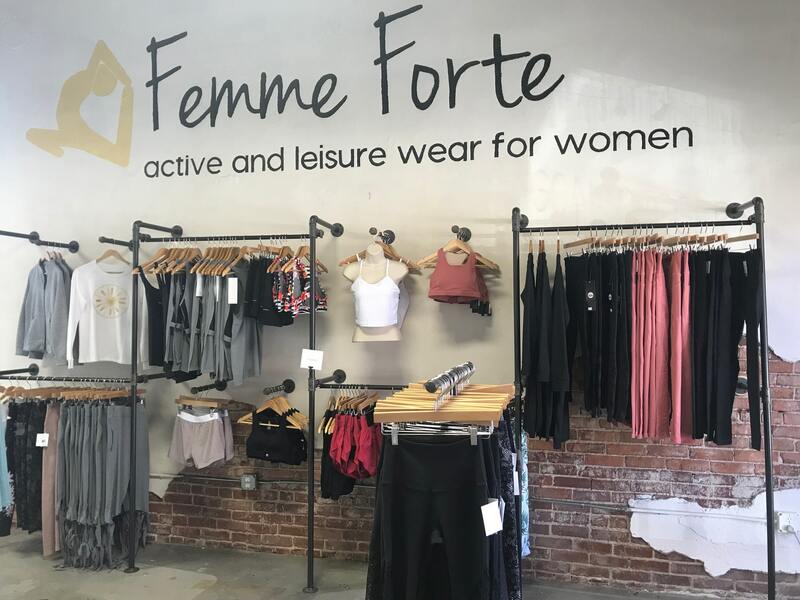 Be sure to visit Femme Forte next time you’re in downtown Claremore! You can also follow the boutique on Facebook and Instagram. who really truly loved all the clothes! Previous articleSo many open house listings! Visit one this weekend.